/ Looking For the Best Spotting Scope? Look No Further! 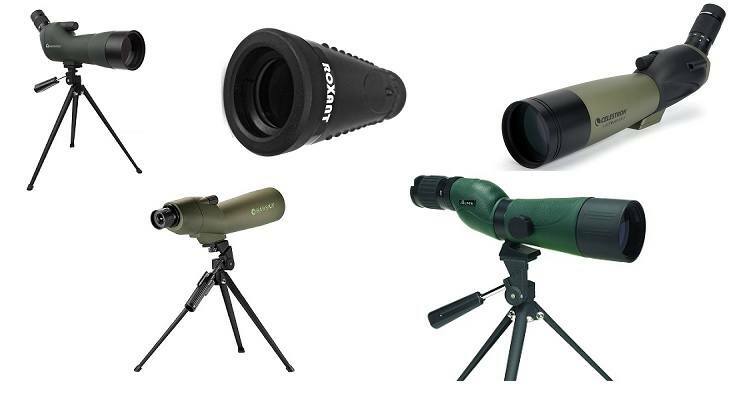 Looking For the Best Spotting Scope? Look No Further! Spotting scopes are the best instruments to use for the mid-range and serious bird watchers and wildlife hunters. Compared to binoculars, a spotting scope provides a much clearer view of nature. Thanks to its advanced optics. It also covers far greater distances than what a binocular can with enhanced magnification. But which is the best spotting scope out there? With the right spotting scope, you can sight details that are almost impossible to see using binoculars. 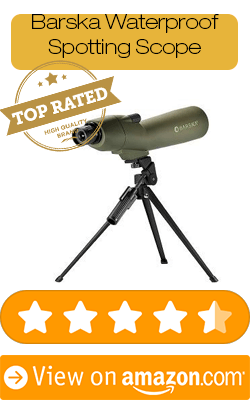 This post will walk you through the top 5 best rated spotting scopes to make shopping easier for you. 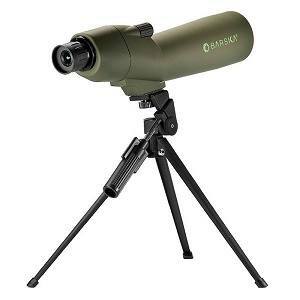 Barska is a popular brand providing the best optics equipment. It’s only fitting that they take up the top spot on the list of the best scopes as well. 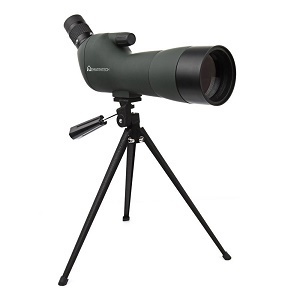 This Waterproof Straight Spotting Scope covers a wide range of distance with a 20x-60x of zoom magnification. Not only is it waterproof, it’s fogproof as well. This is ideal if you wish to go on an early morning bird watching or hunting expidition. The fully-coated high optics allow you to see images sharply in optimum contrast. It comes with added protection in the form of a lens cover. The smooth focusing knob provides better focus as well. Aside from that, you get a soft carrying case and a pan-head tripod for a more comfortable viewing experience. 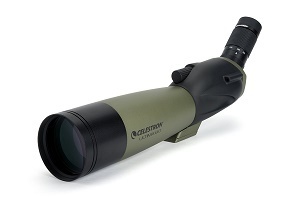 Next on our list is the Ultima Zoom Spotting Scope from Celestron. You might say that the Celestron is a better option with a bigger lens diameter of 80mm. Having a larger lens diameter will also necessarily increase the price. That may not appeal to those on a budget. Still, the Celestron Ultima Zoom deserves praise because of its high-quality build materials and outstanding user experience. First, it has multi-coated BaK-4 prism optics so you get the best view of the world around you. The sight tube allows you to quickly lock in on your target and the zoom eyepiece makes every little detail stand out. Just like Barska, the Ultima Zoom comes with a soft carrying case for safekeeping. 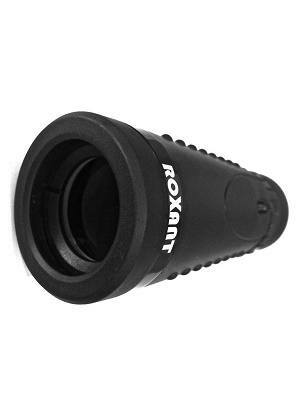 Third on our list of the best spotting scopes is the high definition Grip Scope from ROXANT. Similar to Celestron’s Ultima Zoom, the Grip Scope provides a wide view in high definition. It’s the kind of scope with a retractable eyepiece to better zoom in on images. For its optics, it uses BaK-4 prisms and fully multi-coated glass lens. So you can be sure that the Grip Scope from ROXANT definitely delivers images in vivid quality. It’s more affordable when compared to Barska and Celestron. For extras you don’t just get a carry pouch with a belt loop. ROXANT includes a neck strap and cleaning cloth as well. The Grip Scope is very durable too with a non-slip moulded grip. The 6x30 magnification also offers a steadier view. Alpen Optics may not be as popular as Barska or Celestron but they deliver quality spotting scopes for your viewing needs. Spotting scopes from Alpen can either be the straight or 45-degree models. They use high-quality optics of either BaK-4 prisms or the better BaK-7 glass lens. Both are fully multi-coated for sharper images. They are also available at 20x-60x magnification for zooming images. Alpen Spotting Scopes are water and fog proof. So they’re tried and tested durable even in the mist and rainy seasons. If you plan on taking a long time bird watching or hunting, the spotting scopes come in a table top tripod for ease. You also get a nylon carrying case as part of the package. Another contender for the best spotting scopes on the market is the Angled Spotting Scope by Emarth. Like Alpen’s, this one is a waterproof scope with an angled eyepiece. It comes with a 60mm objective lens with a range of 20x to 60x zoom magnification. Emarth also used an optics zoom with a 39-19m/1000m range for better viewing. The usage of fully-coated BaK-7 prisms is a big advantage, too. The ergonomic and shock-proof body of the Emarth make it easy to handle. 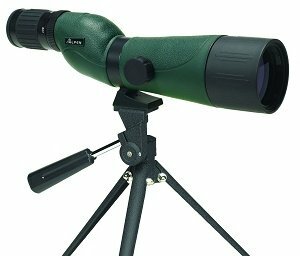 This spotting scope is durable and allows comfortable handling. Extras include a carrying bag and a tripod for long-time viewing in the open. Without a doubt, a spotting scope should be your next investment if you’re serious about bird watching or spotting hunts in the wild. Choosing the spotting scope which is best for you depends on the kind of activity you wish to use if for. Do you want something with a tripod? Barska, Alpen, and Emarth would be good choices. Interested in better BaK-7 prisms for better and more vivid images? Alpen and Emarth would fit the bill. 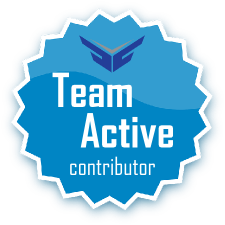 Want the best brand? Go with Barska or Celestron for a worthy scope investment. Once you know what you want for your spotting scope, choosing the best one for your needs would be easy.